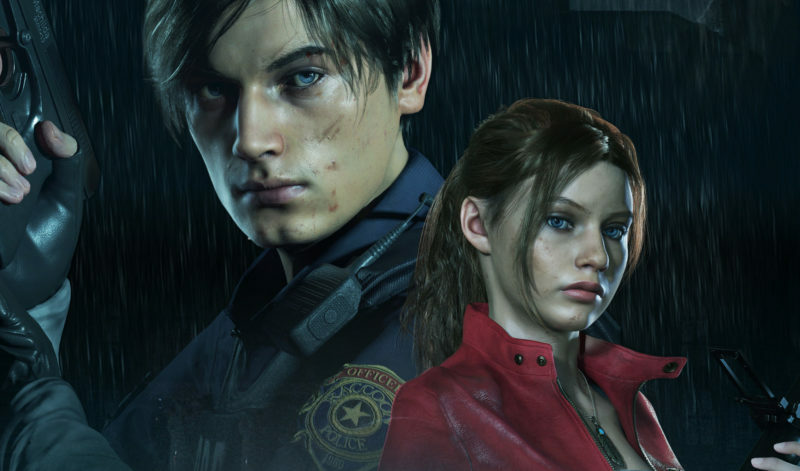 So there’s been a lot of hubub about the new looks for Leon Kennedy and Claire Redfield in the new Resident Evil 2 Remake. I’ve mostly seen concerns directed at how different they look from past incarnations (although let’s please get over this asap, as this will likely be happening with every single returning character from here on out), or how young they look (remember: Claire is only 19 here and Leon is 21). There’s also been some speculation as to who the new versions are based off of, as RE2 Remake (as RE7 before it) is running on the RE Engine and uses Photogrammetry to actually scan and recreate human actors, costumes, and objects. It’s pretty neat technology, and ends up with some pretty realistic results as the actors are recreated 1:1 in game. While Capcom has remained tight-lipped on the topic (we even reached out and asked, but they have “nothing to share at this time”), some super sleuth fans think they’ve pin-pointed the actors used, and they are cute. Obviously nothing is confirmed here, but c’mon. 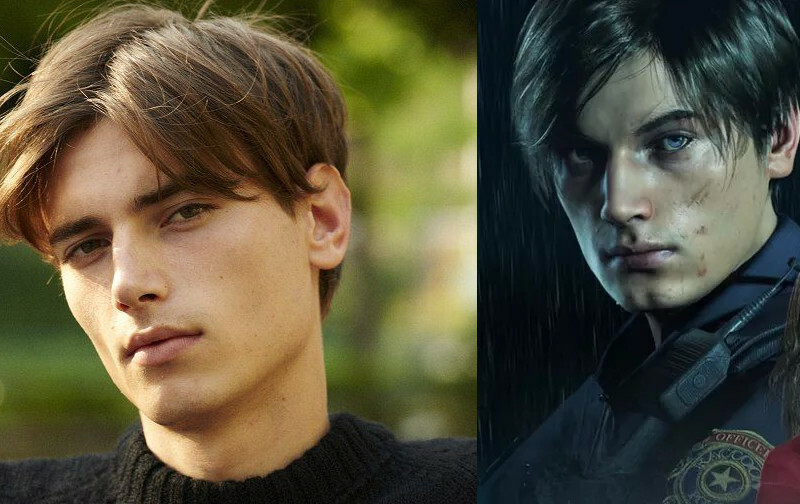 Leon Kennedy, the rookie cop on the worst first day of his life, appears to be being portrayed by Eduard Badaluta, a French(?) model known for fashion shows and simply sizzling smoky eyes and lips. If we’re being honest, Leon has always had a sort of fashion model look to him, although we’re shifting from the “black and white shirtless photo with a bottle of expensive vodka” look he had in RE4 and 6 to a straight up Calvin Klein feel now. But I guess that’s sort of the idea, to show a younger and more idealistic boy, to contrast with the more rugged, “manly” look of his future self. I’m digging this new portrayal in general, as it feels a lot more suited to this particular story than the other recreations of RE2 (like Darkside Chronicles and ORC) which pretty much just had RE4 Leon looks and personality but in his RPD uniform. Honestly, looking through some of his photos (regardless of how simply ridiculous most of the “fashion” is) it isn’t hard to see why he’d be cast as Leon. 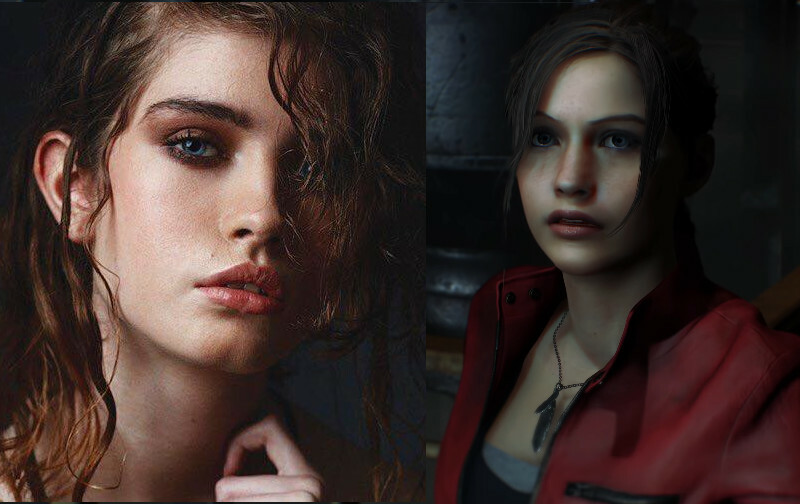 On the other side, Claire Redfield is someone we haven’t gotten to see much of yet, appearing in a very brief shot in both trailers and on a piece of promotional art. That said, the guys over at Resident Evil Only think they’ve got her model nailed down as English model Moya Palk. A simply stunning beauty, her haunting eyes seem just right for the spirited survivor that stole the hearts of many a teen gamer back in the 90s (myself included). Claire’s face has changed pretty drastically in nearly every single one of her appearances, so hopefully with Moya we’ll be getting a consistent look from here on out? Ha, who am I kidding. Hopefully we get to see more Claire content soon, as Leon has been hogging the show so far. Fingers crossed that if a public demo ever becomes available for download that we’ll get to play her campaign too. Oh, and it’s worth mentioning that Marvin Branagh’s face model has actually confirmed that it’s him. Patrick Levar, a YouTube photographer and filmmaker, excitedly posting a “me in Resident Evil 2 Reborn” playlist after apparently not actually knowing if he got the job or not. Huh. I previously commented on just how beautiful I thought he was in my analysis, so… damn, Patrick Levar. You good lookin’. That’s it for now, as we haven’t seen the faces of any of the other human characters (Ada Wong, Brian Irons, Ben Bertolucci, or Robert Kendo) aside from the corpse of the Mayor’s daughter. Hopefully we get a look at all of them soon as well.